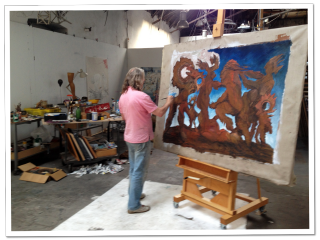 This past Sunday, 60 Minutes did a segment on a German artist named Wolfgang Beltracchi. I would be surprised if you had heard of him unless you know this story. But you probably have seen his paintings if you have been in many of the great museums of the world. You see, Beltracchi is an art forger who has dozens of fakes still hanging in many venues around the world. There was a brilliant twist in his scheme to bring fake paintings to the public and especially to the big money collectors. Rather than merely copy existing paintings from the masters, Beltracchi would more or less channel the artists, making paintings that he felt that they themselves might have painted if they had had the time to move in a given direction. They are labeled as lost masterworks. He would do great amounts of research into the artist’s body of work and biography as well as studying the materials and tools of the time periods so that everything gave it a genuine appearance. His research was so meticulous that his paints often matched the chemical profile of the originals, making the fake almost impossible to detect with even the most sophisticated of scientific tools. This genuine appearance made validating the work as original much easier. But Beltracchi and his wife, Helene, completed the deal with a detailed backstory that made complete sense and was seldom challenged. They claimed that the paintings were owned by Helene’s grandparents there in Germany and were hidden from the Nazis before World War II . 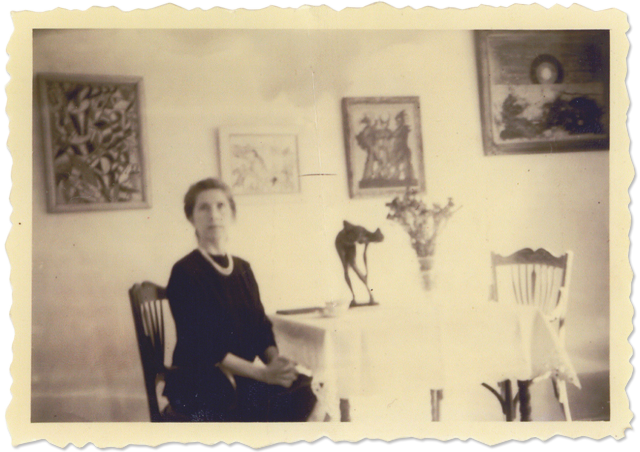 To make the illusion complete, they would make up Helene as her grandmother and take photos on old period photo paper in front of the paintings. It was deviously clever deception that stumped the art world for many years. Museums and high profile collectors (Steve Martin was duped by one of Beltracchi’s fakes to the tune of around $850,000) ate up his works, some being included in books of the best paintings of the last century as well on the cover of a high profile Christie’s Auctions catalog. Except for one tiny mistake. On one of his paintings Beltracchi used a tube of white paint that did not disclose that it included a bit of titanium. Titanium white was not available as a pigment until 1921 and his use of it made the work instantly detectable. The house of cards crumbled and both he and his wife were arrested. They lost everything– the cars, the yachts, the plush homes and the huge stacks of cash that their con had provided. They are both serving terms in an German open prison, meaning that they go out each day to work and return at night. Most of the works , which Beltracchi claims to be well over 1000 and maybe as many as 2000 by over 50 different artists, still hang in many museums around the globe. It will probably take some time and effort to detect these fakes, if they do it all. Nobody wants to admit they’ve been conned. It’s an interesting story. I was immediately intrigued by Beltracchi’s claim that he could paint in the style of anyone except for perhaps Bellini. 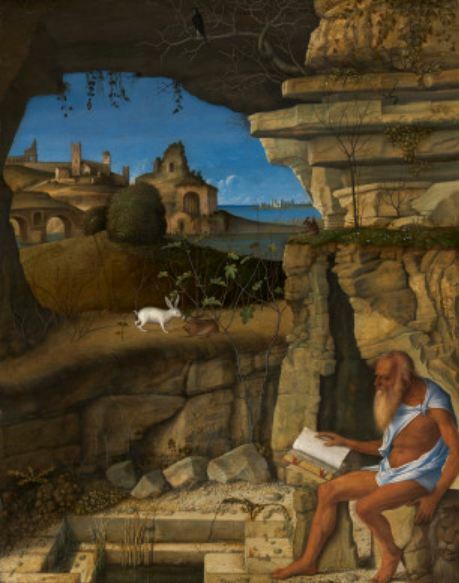 I love Bellini’s work and was glad when this master forger thought it was beyond counterfeiting. But I wondered how an artist who had this kind of ability, this technical prowess, could have no voice of his own. The money and the thrill of the ruse were surely big factors in discarding his personal aspirations. For me, painting and art is all about personal expression and emotion. To see someone with so much obvious talent to be without any personal expression that he would call his own is somewhat sad. Perhaps he views this whole thing as some sort of performance piece in itself, in which case he may be the greatest artist of our time. But I doubt it. There was an interesting story on 60 Minutes last night about a condition that it is very rare called hyperthymesia where the affected individuals have superior autobiographical memory. That is the the ability to recall practically every moment from their lives and all the events they encountered in those moments. They are able to somehow, withoutany effort or without resorting to the use of mnemonics of any sort, organize this vast store of memory and randomly pull the information out as needed. It’s an extremely rare condition with only 6 known cases in the USA, although there are probably many more out there who have not come forward for examination. 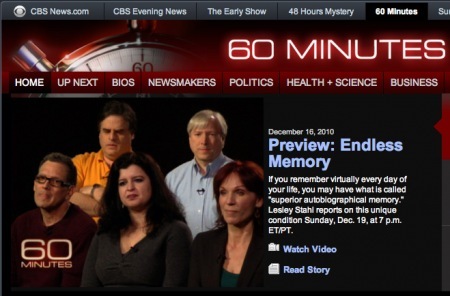 Actually, before this 60 Minutes story there were only 5 known cases. Reporter Leslie Stahl, who was doing this report, upon hearing the effects of this condition thought it sounded like her friend, actress Marilu Henner, best known from her role as Elaine on the show Taxi. She agreed to be tested and was added to the so far small group of individuals. The story was fascinating. If anything it raised more questions than it answered. Would this be a good thing or a curse for those who possess it? How does it affect their day-to-day life? Does this recall have any effect on these individuals’ overall intelligence? Is there a tradeoff of some sort for this ability? These are not savants or people who are crippled by the seemingly compulsive nature of their condition. The 5 of the 6 known cases that were shown (one did not want to appear as part of this story) all appear to be extremely high functioning people. Besides Henner, there was a concert violinist, a radio talk show host, and a man in the production end of the entertainment field. The final man’s occupation was not disclosed. Only Henner was married or in a relationship. Perhaps the inability to set aside another person’s flawed moments would hinder any relationship or perhaps there is a certain alienation caused by the condition that inhibits intimacy. The concert violinist expressed a certain alienation when she spoke of feeling as though she were fluent in a language that nobody else knew, one that she couldn’t share with anyone. Not mentioned in the story was a recent documentary film about one the subjects. Called Unforgettable, the film, made by his brother Eric Williams, focuses on the life of Brad Williams who is a radio talk show host and is known as the Human Google. Jeopardy super champion Ken Jennings makes an appearance. I don’t know if they show the two of them competing but, in his blog, Jennings talks of Williams “wiping the floor” with him when they ran into one another at a trivia contest at a local bar. He also makes the distinction between the way his and Williams’ minds work, pointing out they are functioning in completely different ways. I’ve been thinking about this ever since seeing it, wondering if it would be great to possess such an ability. I obsess, as it is, over the loss of memory so why not be able to have such an organized brain that you could easily find that which was put in there to begin with? Would it make our lives different? The concert violinist made an interesting point when she spoke of it as a gift that allows her to live her life with great intention. By that she meant that because she knew she would remember every moment she strived to make every day significant. No throwaways. An intriguing concept. Well, here we are on a Monday sandwiched between the two scariest days of this year, Halloween and Election Day. 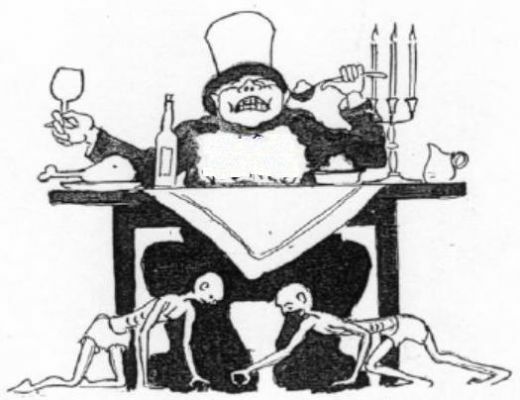 In the run uo to the elections there has been a constant drumbeat from candidates all uttering the words Tax Cuts as though they were some magical incantation used to bewitch voters. And maybe they are. A good portion of the American public pays little attention and responds to catchphrases and sloganeering without questioning the validity of the argument. On last night’s 60 Minutes there was an interesting segment that featured David Stockman, who was the wunderkind behind the Reaganomics/ supply side economic policy of the early 1980’s. I felt a great sense of vindication when I heard him speak about the failings of this policy and how it has led to the great wealth inequality that bedevils our nation. I knew that when I first heard of the policy 30 years ago when I was nothing more than a high-school graduate working in a factory. It didn’t take a brain surgeon to see where those policies would eventually take us. He was on the show primarily to say that this constant mantra of Tax Cuts is killing us as a nation and is not practically sustainable. He calls for the Bush Tax Cuts to end for all income levels. The story also concerned itself with the state of Washington and its ballot iniative to establish a state income tax of 5% that would start after $400,000 of income per year. Washington currently has no state income tax and, like most states, is in a fiscal bind. This measure’s largest supporter William Gates, Sr., father of Microsoft founder and bazillionaire Bill Gates, who also supports the bill. The story didn’t mention that besides establishing a state income tax on the wealthiest 3% of Washington residents, this bill would also lower the property tax statewide by 20%. This is for everyone, including the wealthiest citizens. Of course, it showed the typical scare tactics employed by the wealthy when faced with even the most modest of taxes– we’ll leave and take our jobs with us. They featured a younger entrepreneur who runs an internet company selling novelty items who had already moved his business from Oregon to Washington to avoid state income taxes in Oregon. He claimed this would make him pack up and take his prosperous firm elsewhere. According to the story, under the new tax in Washington, it would cost this guy $50,000 a year in state taxes. I know, that sounds like a huge number. But using simple arithmetic, this means he is making a net income, after all expenses and deductions, of $10 million. Actually, 10.4 million– the first 400,000 is not taxed. This man claims that this 50K would be enough to make him pack up and relocate his entire operation, which must be substantial in order for a guy to turn a 10M profit selling crap novelties online. He also said that this 50K would prevent him from hiring any new employees. The typical clarion call of business owners faced with taxes of any sort. No, actually it is a threat and a ludicrous one, at that, made by greedy, greedy people. I understand him wanting to not pay more taxes but when they make these threats about taking their ball and going home – well, to some home somewhere in one of the 6 or 7 states that don’t have state income tax– well, it just irks me that they are so willing to play that fear card on the public. This guy was a prime example of why Reaganomics/ supply side economics were doomed to failure: they could only succeed dependent upon the assumption that these folks were not filled with greed. Actually, Stockman, who was one of the main salesmen for these policies, admitted that the trickle down effect was concocted only to sell tax cuts for the rich to the middle and lower classes. So, when you hear the nattering chant of Tax Cuts! without any reason answer as to how they can be paid for, recognize that you are being pandered to. Recognize that you are being assumed to have a lack of intelligence and a lack of attention. And question what other things they may be trying to pull over on you.